It's that time again! Can you even handle it? This is the FIFTH annual Scarfament Swap! My bestie, Carina, and I are joining forces to bring you another year of warm necks & warm hearts. I'm here to tell you that this is an amazingly fun swap that you do not want to miss out on. You get to pick out a fun little ornament, a super cute scarf, and send it off to a new friend! It's like the best version of Secret Santa ever. Want in? Just fill out this form (We are all filled up!) and you'll hear back from us by November 9 with all the info you need to get rolling. Then you'll have until December 1 to get your pretty package in the mail and sent to your partner. You will have no idea who you're receiving from, and your partner won't know who you are until that very happy mail day. Suspense is fun. 1. Open to US residents 18 and over. 2. You have to pinky promise, cross your heart and raise your right hand that you will definitely for sure without a doubt send your gift by Dec. 1. If you think there is even a little itty bitty chance you're going to miss the deadline or not pick up a scarf and ornament for your new bff, PLEASE DO NOT SIGN UP. It is so sad to send something, anticipate your own package, and then get left out in the cold. 3. You will get your assignment no later than November 9, possibly before. 4. We do not have a set budget for the swap. Our suggestion is around $25 but if you want to spend more, or need to spend less, that is a-okay. 5. If you don't receive your package by Dec 7, we will attempt to contact your partner ONCE. We can't chase after people because we are two busy mamas with 11 kids between us, ya heard? 6. If you don't ship your scarfament and your partner gets in touch with us, we will attempt to contact you and beyond that point, we will let them attempt to contact you, so basically, send the package. 7. Have fun with it! This is a great way to make a new friend, have fun creating or shopping, and bless someone else. 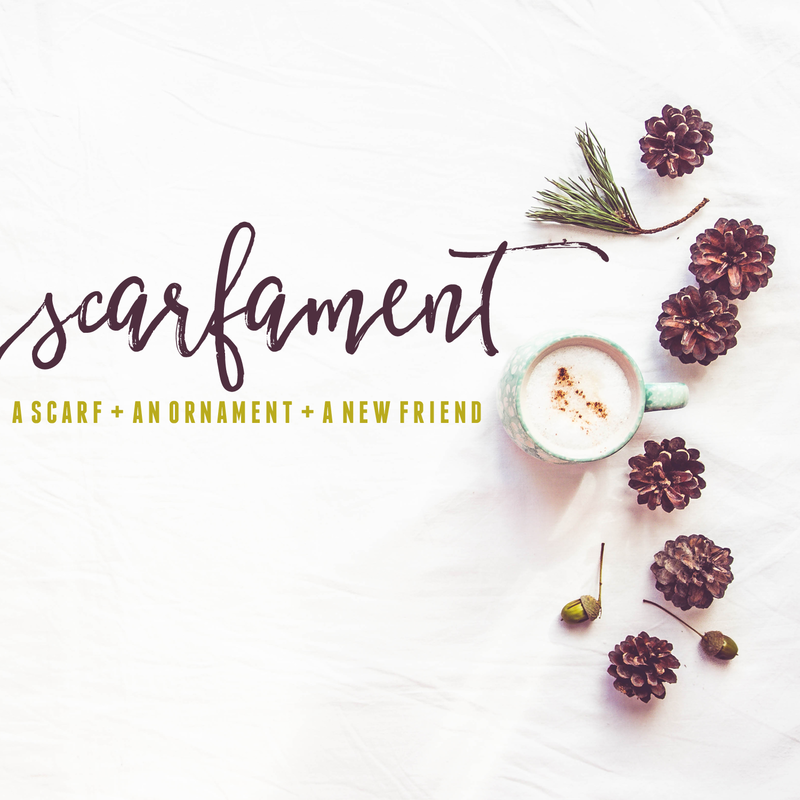 You can use the hashtag #scarfament to share your finds and the gifts you receive to spread the love! So, make haste - spots are extremely limited! We can't wait to swap with you!